This service should be purchased if an entirely new waterline is required. 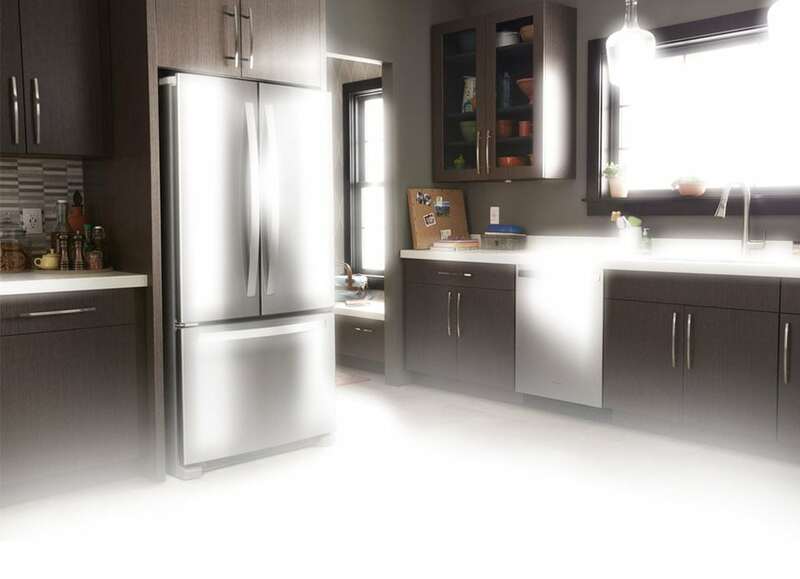 If this is replacing your existing refrigerator, our delivery team will uncrate and move your new purchase into place. They will not plug it in. If there is open floor access, 60 feet of waterline will be included in the installation. Our installer will NOT remove packaging or provide haul away services. Refrigerator door reversal service can be added for an extra cost of $155.99. Please contact your local store for details. For a full list of requirements or further assistance, please contact us at 1-855-930-6026. This service should be purchased if there was an existing gas dryer in place before. If a completely new installation is required, please contact us at 1-855-930-6026 to arrange for an onsite quotation. Once the onsite inspection is completed, our installer will provide a detailed quotation of the work required and the associated cost. All fees for an onsite inspection are non-refundable and must be paid for at your local Leon’s store. Extra charges will apply if any shut-off valves, gas permits, vent-less exhaust kits, conversion kits, vent hose, stacking of items, expansion and reduction adapters, or custom carpentry work is needed to allow the new appliance to fit. Your existing dryer must be disconnected prior to the installation. This service does NOT include haul away. A metal dryer hose or dryer venting kit must be purchased prior to the installation. Extra charges will apply if the unit needs to be stacked. Front load dryer door reversal service can be purchased. Please contact your local store for details. Hoses must be purchased prior to the installation. Front load washer door reversal service can be purchased. Please contact your local store for details. Your units will be moved to the installation location by our delivery team. You are responsible for obtaining a metal hose for dryer venting and a stacking kit prior to the installation. Extra charges will apply if these are not present. Your unit will be moved to the installation location by our delivery team. You are responsible for obtaining a metal hose for dryer venting prior to the installation. Extra charges will apply if this is not present. Our delivery team will uncrate and place the units on the pedestal. If space restrictions prohibit our installer from accessing the back of the units, additional charges will apply for our installer to remove the units from the pedestals to access the hook up locations. This package does NOT include removal of any packaging. Extra charges will apply if shut-off valves, gas permits or any custom carpentry work is needed to allow the new appliance to fit. If a completely new installation is required, please contact us at 1-855-930-6026 to arrange for an onsite quotation. Once the onsite inspection is completed, our installer will provide a detailed quotation of the work required and the associated cost. All fees for an onsite inspection are non-refundable and must be paid for at your local Leon’s store. This includes all necessary plumbing, electrical, and any other trades and permits required to facilitate the completion of the new installation. This is a basic installation into an existing outlet. Your unit should be placed near the intended installation site in advance of our delivery teams arrival, unless delivery via our installer has been purchased. A 6 feet stainless steel braided fill hose (supply line) is included with this installation service. Extra charges will apply if any risers, air gaps, pigtails, elbows, on/off switches, working in crawl spaces, or custom carpentry work is needed to remove the old unit. Our installer will pick-up and deliver the unit and remove its packaging. Our installer will haul away the old unit and dispose of all packing and materials. Extra charges will apply if any risers, air gaps, pigtails, elbows, on/off switches, working in crawl spaces, or custom carpentry work is needed to remove old unit. This service does NOT include haul away and/or disposal of packaging. This package does NOT include moving the existing duct work any drywall patching or painting. Your unit should be placed near intended installation site in advance of our delivery teams arrival. This service does NOT include haul away and/or disposal. If you would like to add on this service, please contact us at 1-855-930-6026. Extra charges will apply if any of the following work is needed: running a dedicated 110 volt electrical line, changing a round vent to a rectangular vent or vice versa, additional duct work to allow transition from external exhaust to recirculating or vice versa, or custom carpentry work to allow the new OTR to fit.